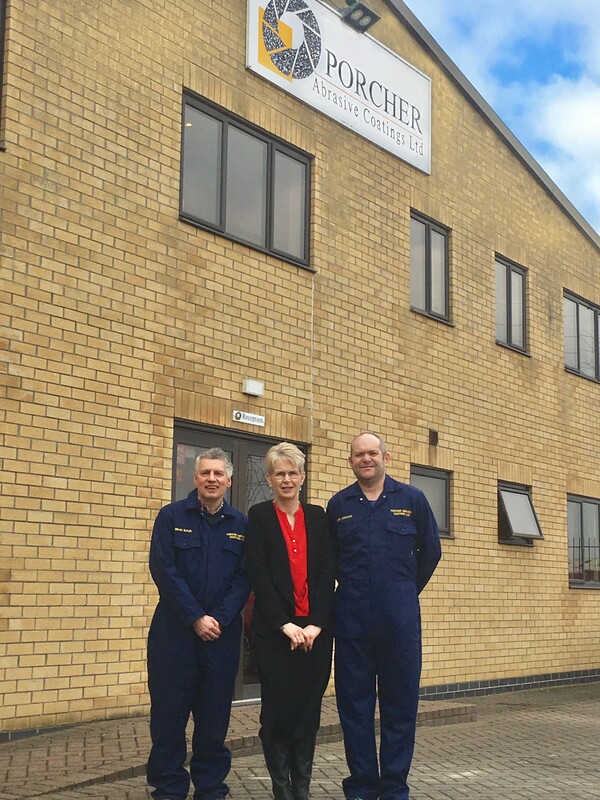 The team here at Porcher Abrasive Coatings Ltd would like to thank everyone who has helped make the company’s first quarter century so special. 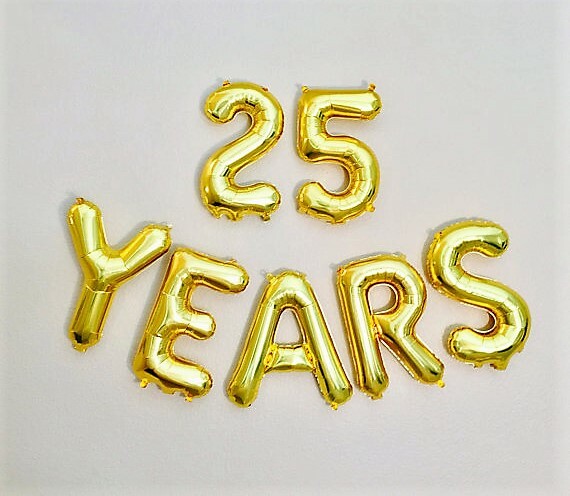 This year at Porcher Abrasive Coatings Ltd (PAC) we have good reason to celebrate as the company has reached its 25th Anniversary. We have earned our reputation as the leading experts in the world of Abrasive Coatings. This is an amazing milestone for the company and its loyal employees, many of whom have over 15 years’ service with Porcher. 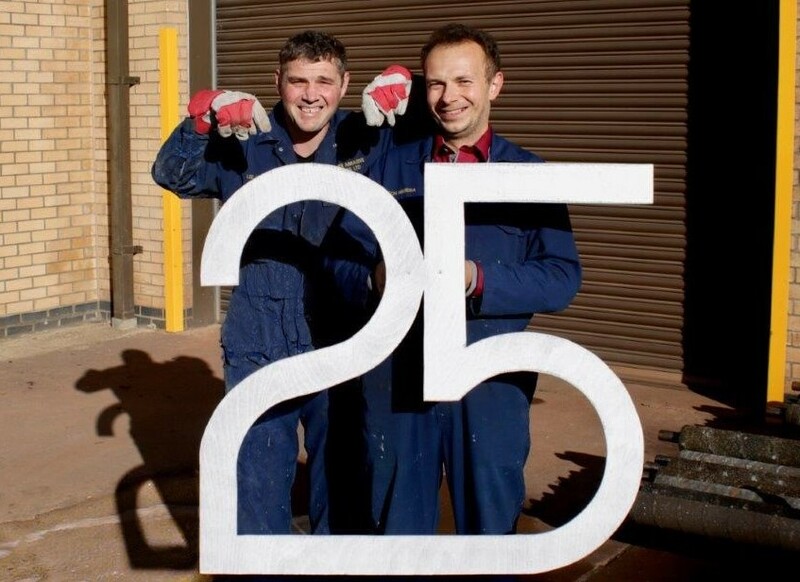 Set up 25 years ago, Porcher Abrasive Coatings Ltd passed the quarter century benchmark in a strong position. Celebrating their own quarter century innings are employees Brian Butler and Mick Thompson both being with the company since its inception – joining them with long service achievements are Mark Goddard, Workshop Supervisor clocking up an amazing 23 years so far and Yvonne Smith the Office Manager with 16 years under her belt. Edward Porcher, company founder and Managing Director, reflected on the company’s legacy and attributed much of the brands success to the extensive knowledge and expertise it offers working alongside prestigious manufacturers particularly but not exclusively in the food preparation industry. Edward said: “I’m really pleased that the company we set up 25 years ago is in such a position of strength today – but Porcher Abrasive Coatings longevity is far from a personal achievement. There is a fantastic team working at PAC, but I also want to thank the company’s industry partners, suppliers, and, in particular customers who have all played important parts in our story”. “All of our manufacturing is done on the premises here in Boston, Lincolnshire which gives us the benefit of overseeing every step in the process, this is backed with quality assurance and attention to detail through finite checking before being sent to the customer. Our coatings and linings are of the highest standards and unbeatable quality which is a major factor in our success” said Edward. “Our goal for the next 25 years is to stay at the forefront of the industry and to continue working and listening to our partners needs whilst offering them outstanding customer service”. With proven expertise in many manufacturing sectors including the food preparation industry Porcher are also experts in abrasive vegetable peelers. Offering coating and recoating temperature-cured abras ive linings and coatings for catering and industrial potato and vegetable peeling equipment. Sales of new potato peelers, chippers, and batter mixers and sales of refurbished peelers and spare parts. Our services are particularly relevant in the manufacture of crisps and potato products. Offering a range of unique personalised coating services to a growing number of food prep and vegetable peeling business partners. Research in the R and D Department to establish other possible applications resulted in the development and manufacture of high performance TreadSafe® Stainless Steel and Treadsafe® GRP Anti-Slip flooring treads and Cleats used for hazardous areas including internal and external use on floors, stairs, ramps, walkways, fire escapes and ladders (for example – industrial areas, offices, kitchens and bars) and used in architectural projects for an aesthetic appearance/finish. Porcher supplies anti-slip floor coverings made from stainless steel and GRP- ideal solutions for hazardous areas particularly where health and safety are key. We also supply technologically advanced healthcare and hygiene abrasive coatings to plastic mouldings and pads with applications in the cosmetic industry as well. Other processes include coating and recoating of Class 4, 5 and 7 brake testing rollers for original manufacturers and end users in the automotive industry. Looking to the textile and clothing industry we supply a range of friction resistant coating surfaces including the coating and recoating of loom rollers, felt coverings and the manufacture of card grinding fillet. “Being involved with such diverse industries keeps us on our toes said Matt Leeming, General Manager, “we are on top of our game and strive to be the best. We work closely with our clients to offer cost effective solutions where they are never disappointed”. Expert knowledge of supplying abrasive linings, coating and recoating a wide variety of abrasive surfaces to meet our customers’ requirements we are delighted to offer customised bespoke solutions to meet your individual needs. Edward added “the last 25 years have been great. Now we’re looking at how we can make the future even better – starting with an overhaul of how we speak to customers and industry partners online. We’ve already rebuilt our website to make it more visible and accessible, now we want to improve our digital presence via email and social media communications.